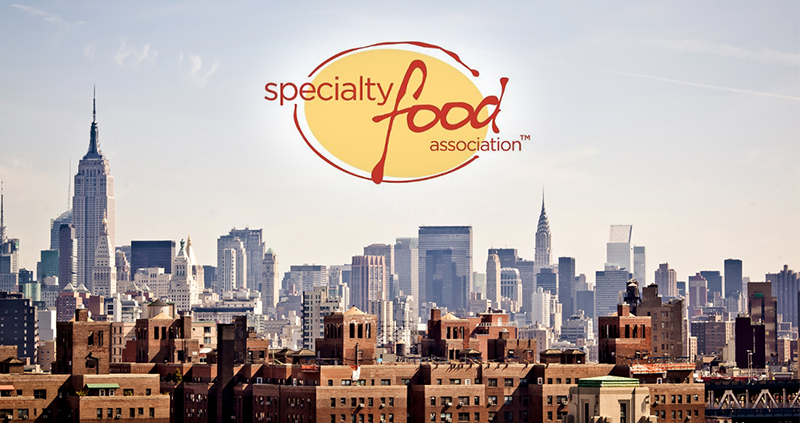 New York, NY (July 10, 2017) – The Specialty Food Association (SFA) marked its 65th year with an exhilarating Summer Fancy Food Show. Held June 25-27 at the Jacob K. Javits Center in New York City, the Show featured over 2,600 exhibitors, with Turkey as the partner country. The Show, established in 1954, is now the largest marketplace in North America devoted exclusively to specialty food and beverage producers and buyers. More than 180,000 specialty food products were on display, clearly demonstrating the industry’s commitment to meeting consumer demands for great, innovative products and new ways to explore global flavors. With the explosion of multiple channels vying for specialty food sales – going way beyond the “gourmet shop” of the past to include convenience, foodservice, e-commerce, and more – the SFA developed its qualification process as a guarantee to their members that they’d see better business-to-business activity at the Show. In addition to the traditional exhibit hall, a new attraction, LevelUP, was added to the Show to highlight the rapidly growing specialty food industry by showcasing global food innovations, industry research, and the future of food and commerce. LevelUP provided data important to buyers in particular to help them better understand consumer habits and trends across multiple purchase channels and impacting multiple segments of food itself. The LevelUP attraction also featured thought-provoking industry speakers. The diverse lineup included Supermarket Guru Phil Lempert, who moderated a lively panel discussion among a group of traditional and e-commerce buyers. Also on hand were Chef Francisco Migoya with “Insights from Modernist Bread;” Bertha Jimenez, RISE Products, on “The Resurrection of Food Waste: Brewery to Table Cuisine;” Jon Taffer of Spike TV’s Bar Rescue on the “Reality of Small Business Success;” and more. sofi™ Award Product of the Year presented to Anastasia Confections Coconut Cashew Crunch with Chocolate Drizzle. The sofi Awards are considered the “Oscars” of the specialty food industry. This year there were 3,000 entries across 39 categories. Convenience and other retailers sent buyers specifically to interact with the 2017 sofi winners at the Show. Front Burner: Foodservice Pitch Competition The “pitch” winner was Black Pepper Bacon Jam by TBJ Gourmet. The versatile, spreadable product wowed the foodservice judges with its strong bacon flavor and foodservice-friendly packaging, taking top prize in the competition presented by the Foodservice Council of the Specialty Food Association. The competition also exposed foodservice buying needs to a larger industry audience. Hall of Fame and Lifetime Achievement Awards 27 individuals were inducted into the SFA Hall of Fame, and seven other industry luminaries received Lifetime Achievement Awards on June 25. The Specialty Food Association Trendspotter Panel scoured the Show floor for the latest innovations in the specialty food world. The panel was comprised of Ken Blanchette, Vice President of Purchasing, FreshDirect; Jonathan Deutsch, Professor of Culinary Arts & Science, Drexel University; Perla Nieves and Alysis Vasquez, Founders, Midnight Market; Alison Tozzi Liu, Editorial Director, James Beard Foundation; and Elly Truesdell, Global Product Innovation & Development at Whole Foods Market. Giving Back At the end of the Show, exhibitors continued their long tradition of giving back by donating thousands of pounds of meat, cheese, produce, confections and snacks to the Specialty Food Foundation, which in turn donated the products to City Harvest, the Summer Fancy Food Show’s longtime charity of choice. The Specialty Food Association is a thriving community of food artisans, importers and entrepreneurs. Established in 1952 in New York, the not-for-profit trade association provides its 3,500 members in the U.S. and abroad the tools, knowledge and connections to champion and nurture their companies in an always-evolving marketplace. The owns and produces the Winter and Summer Fancy Food Show, and presents the sofi Awards honoring excellence in specialty food. Learn more at specialtyfood.com.